2019 is going to be the best USPHC ever. There, I said it. Not only do we have some incredible new sponsors upping the game at Nokomis this year, but we have more teams than ever. In fact, a couple of us had to take a road trip to pick up another set of rink boards yesterday so we could add a 27th rink this year. Yep, you read that right. Not 25....not 26.... but 27 rinks! On our drive yesterday, Commish Carson told me "Friday is about the players." And he's 100% right. Having the Rink Rat expanded to 4 games, and for them to play on Friday is going to make the kick off of the U.S. Pond Hockey Championships even more epic. So what's Saturday about then? Or Sunday. Well, Saturday is about the Community. 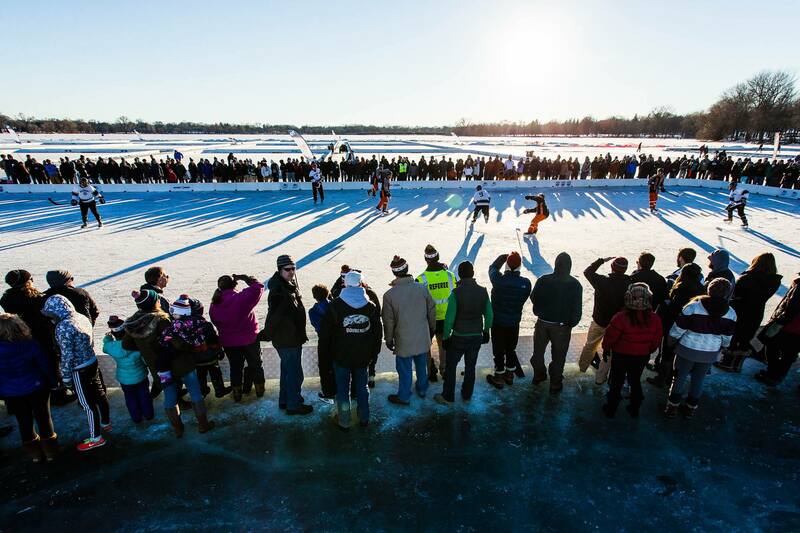 Not only is it great hockey, but this is the day that thousands of locals come out to enjoy the Minnesota winter, with players from across the country competing in the State of Hockey. So that brings me to Sunday. Sunday is about the Championships. Who's going to win? Who beat who? Who's going to end on the Championship Rinks? Well, we think Sunday should be even bigger than it already is. So, since we get to do whatever we want, we're doing just that. More teams than ever are going to play for the Championship on Sunday. The Open is going to have 24 teams advance. The Cedar and Rink Rat? Each of them will have a 64 team all out battle for the Championship. It'll be not just a test of skill but of stamina. Pond hockey is a game of strategy, and how you manage your team off the ice will matter as much as what your game plan is. 40+ will advance 6 and the Women's will advance 4.